As the city filled for the annual Christmas parade, Lexi and Aric snuck around people trying to make the city look as quiet as it possibly could -- the city stood still as if it was only the two of them. Even though it rained all day long Lexi promised Aric and her photographer that the rain always blows over in the city. 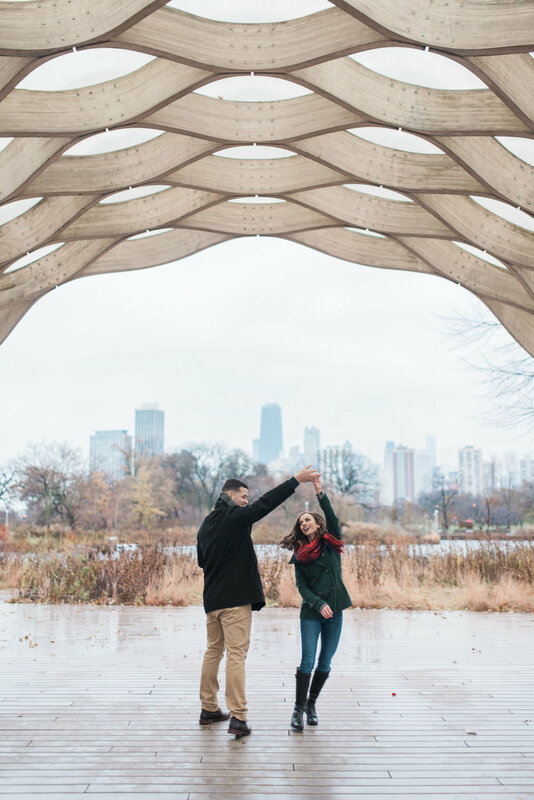 Once they met up at Lincoln Park the rain started to come down but they decided to make the shoot happen anyway (and boy are we glad they did!) These two are so in love and the way Taylor Ford Photography captured their personalities is just perfect!